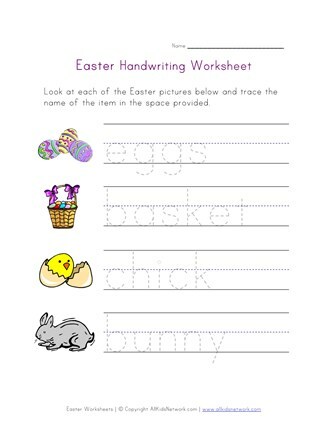 Check out this simple and fun Easter themed handwriting practice worksheet for kids. 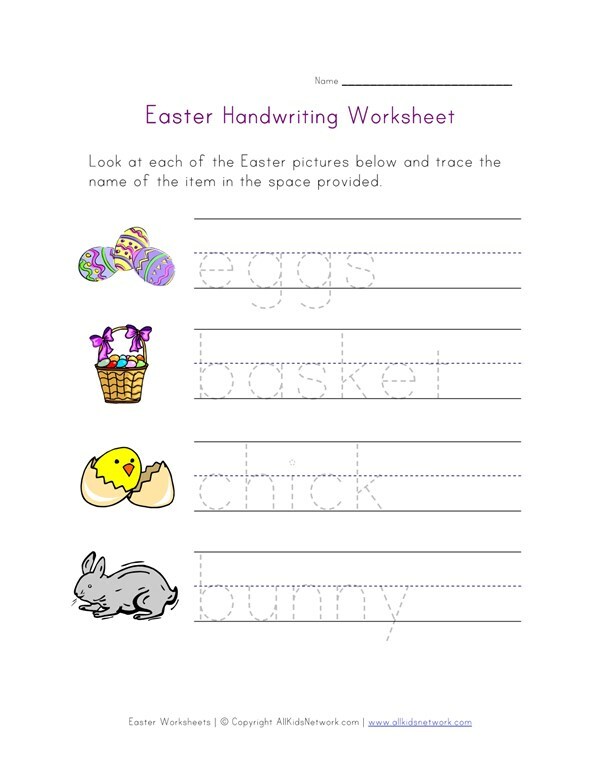 Children can trace the letters next to each of the pictures to write the words; eggs, basket, chick and bunny. This printable Easter worksheet makes a nice addition to any Easter themed lesson plan for kids that are just starting to learn to write letters.